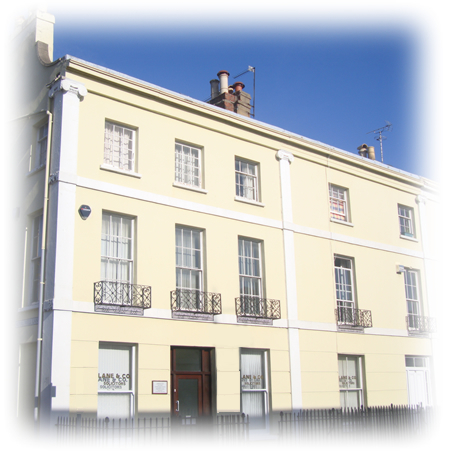 Lane & Co Solicitors have been practising law in Cheltenham since 1932. We specialise in private residential and new build conveyancing; employment law; clinical negligence law; wills, probate and lasting powers of attorney. We are proud of our reputation as an *accredited independent practice, which enables us to ensure that you receive excellent and impartial legal advice and support for a successful outcome to your matter. Because we are not tied to any property, financial or investment companies or institutions, you can be assured at all times that your best interests are our highest priority from the outset to the conclusion of your business with us. We believe that treating our clients as people and aiming to give the best possible service is the strongest foundation for a reputable and successful business; which results in a relationship of trust and confidence in us and in our services. We understand that returning clients are a measure of the satisfaction they experience, particularly when successive generations choose to continue to entrust us with their family's personal affairs. We are registered with the Defence Discount Service and accept MoD form 90 and form 91 for a discount on our legal services. Details available on request.